Shown with Optional Birthstone Charm and Heart Charm. Dreaming of Castles in the Clouds, your little princess will be enchanted by our Polka Dot Bracelet, beautifully engraved with her name. Soft and sparkly, this dreamy design is made with real cultured pearls, genuine sterling silver and Swarovski® Advanced Lead-Free Crystal. 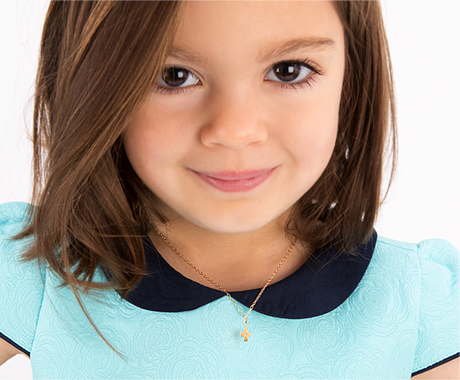 A perfect gift for any occasion and an adorable keepsake she will want to wear everyday! Exquisite bracelet and it fits my daughter's wrist.